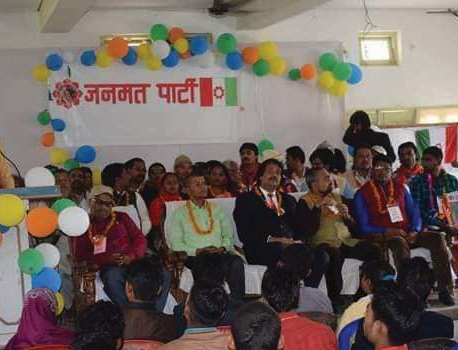 KATHMANDU, March 19: CK Raut, the leader of the Alliance for Independent Madhes (AIM) who gave up his secessionist demand by signing an agreement with the government on March 8, has launched a new party named Janamat Party to join mainstream politics. A two-day conclave of the party held on March 17-18 has also decided to participate in the elections. The party has stated that the new party will continue its struggle to safeguard the rights of the people in line with the Constitution of Nepal. The decision was made at the conclave attended by over 150 AIM delegates representing 22 districts of the southern plains. 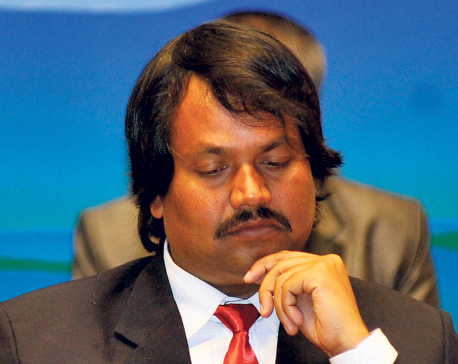 The decision comes at a time when speculations were rife in political circles on whether Raut would still continue his secessionist activities despite signing the agreement with the government. The conclave welcomed the agreement signed with the government. “The gathering commits to go to the public to garner their support and continue the struggle for addressing the peoples' problems and demands through the constitution,” states a press statement issued at the end of the conclave. The newly-formed party has also sought support from the people, media, civil society, political parties and civil society organizations. A three-member committee headed by Chandan Singh has been formed to implement the deal signed with the government. It has demanded the government provide compensation to the family members of Ram Manohar Singh, the then Banke district coordinator of the AIM who was killed in police custody a few months ago. Also, it has asked the government to provide employment to a family member of Singh as agreed earlier. Aimed at expanding the party's strength, a 35-member central working committee has been formed under CK's leadership. Kailash Mahato, Raj Kumar Yadav, Adhul Khan, Chandan Singh, Baita Isar, Kailash Mahato, Parmeshwar Murmu, Sitaram Pandit, Surendra Sharma, Satila Yadav, Indrajeet Yadav, Sanjaya Yadav and Naresh Kushwaha have been named as central working committee members. Other members are Birendra Sah, Dinesh Yadav, Sanjaya Sah, Dhruba Gaud, Bhopendra Yadav, Hakikulla Khan, Radha Yadav, Irfan Ahamad Shekh, Mahendra Prasad Chaudhary, Durga Chauhan and Asha Mehata. Party chairman Raut has been mandated to pick the remaining ten members considering inclusion from all sectors and give full shape to the newly formed party.